The Buddha Barrier is a new intelligent water filled plastic barrier separator system from Melba Swintex. The barrier can be directly compared to the WonderWall Barrier. 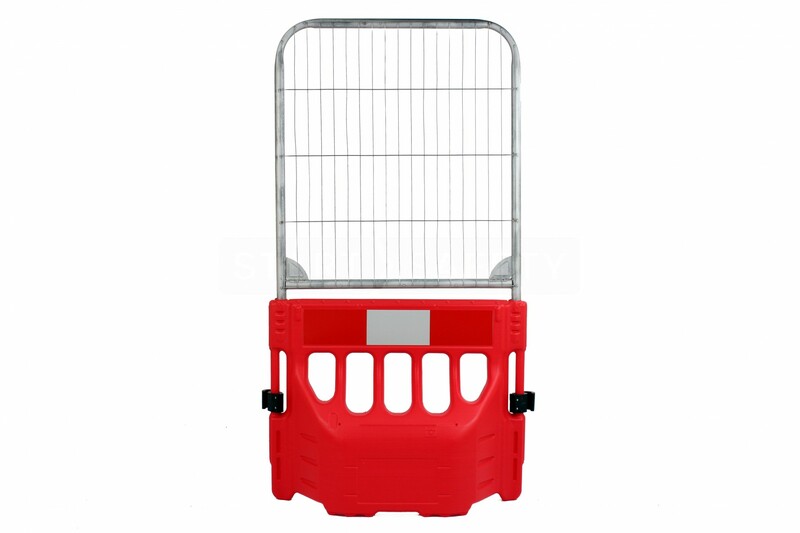 It fulfills the same "extended height" pedestrian separation duties, especially when fitted with a mesh top panel. So How Is The Buddha Barrier Different? It Stacks! - It is as simple as that; the Buddha stacks better than other similar systems. 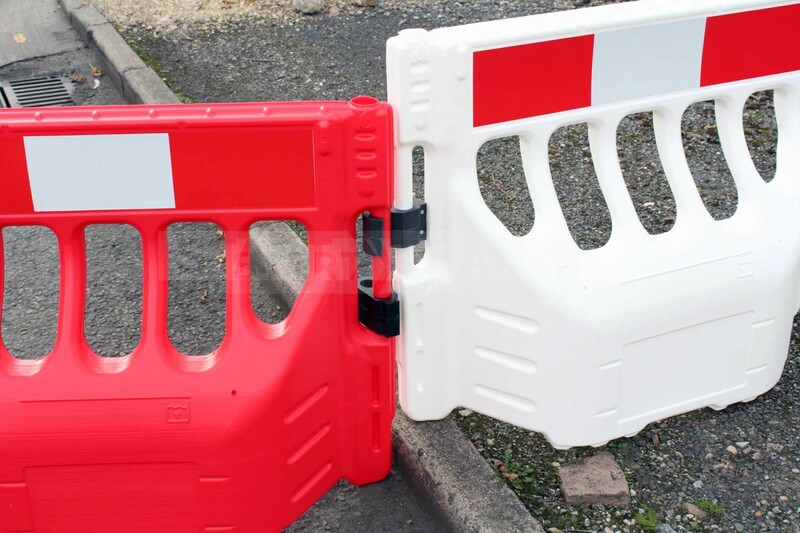 This may not seem that important, but it significantly increases the number of barriers that can be transported to site on a pallet. Decreasing transport and storage costs by a magnitude. No Assembly Required - One-piece construction requires no on-site assembly other than clipping to the next unit. 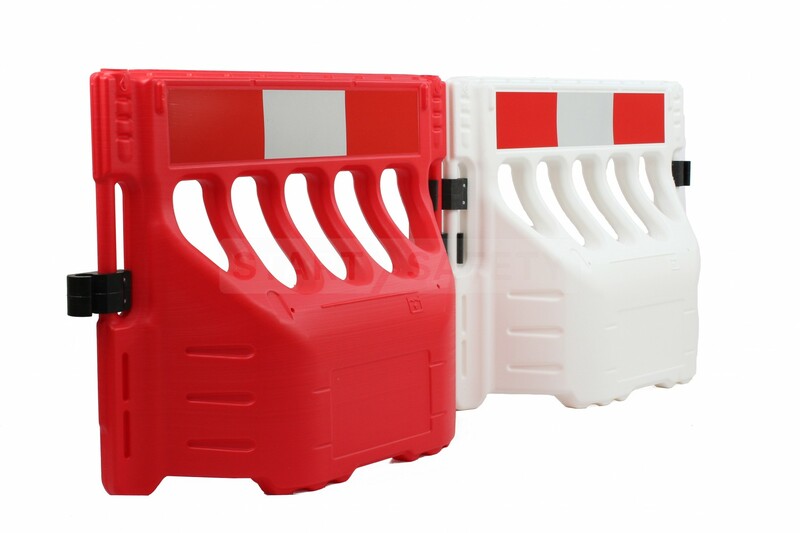 This immensely increases the speed at which these barriers can be deployed. Lower Than Ever Price Per Foot! 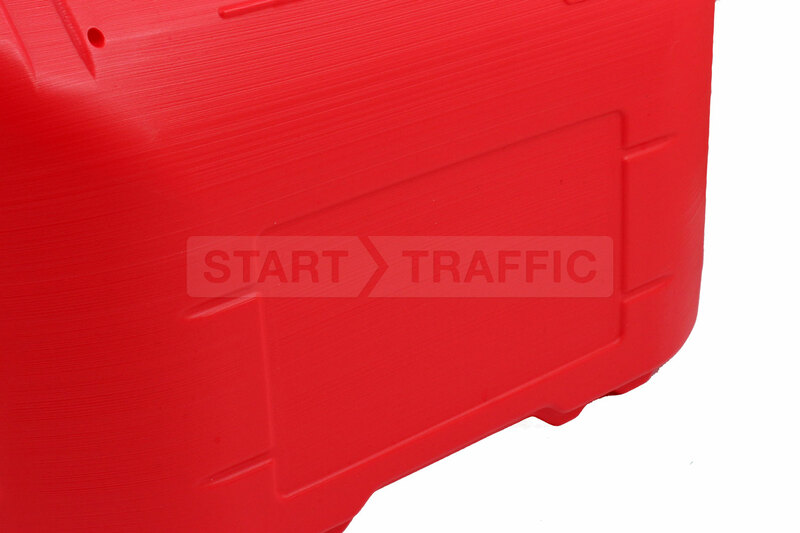 - The Buddha barrier is entirely blow moulded; this makes it lighter, cheaper to produce and transport. Saving you money when you buy it, and every time you have to transport it! The Buddha-barrier can be filled with 6.6 gallons of water. This water adds 55 lbs of ballast, significantly improving the stability in wind and when leant on by pedestrians. 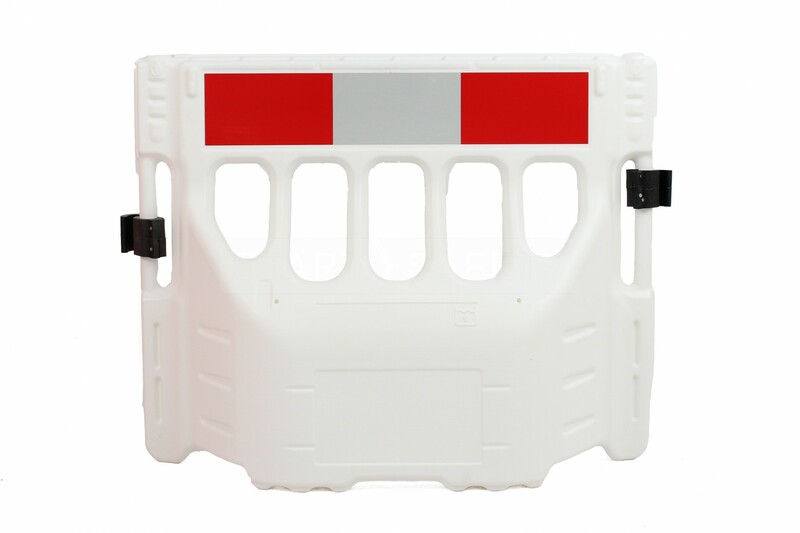 There are reflective panel areas on each side of the barrier, making this one of the most easily seen systems on the market. Both are compliant with all relevant standards. 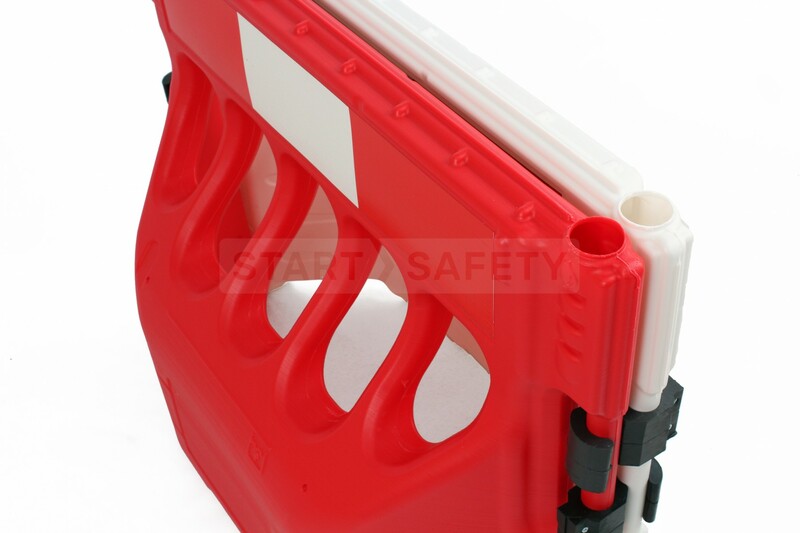 The Buddha-barrier features three separate embossing areas; these can be used to convey information regarding ownership, branding, or health and safety information. 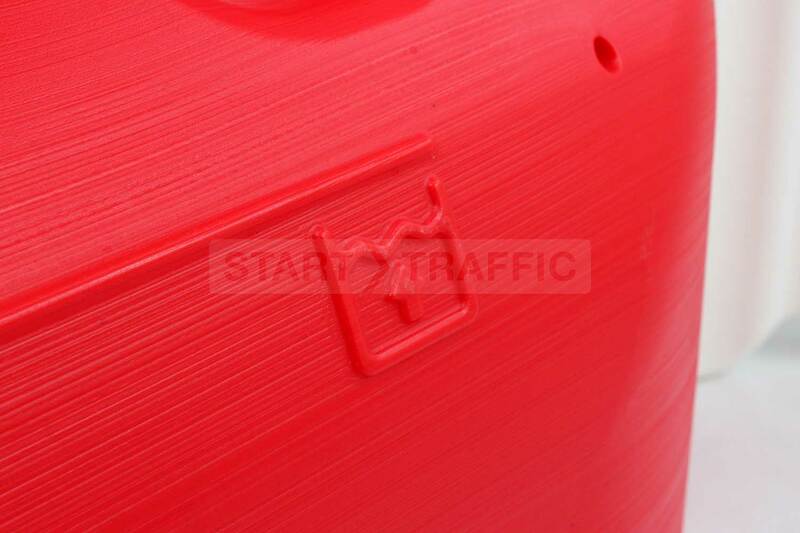 Stickers can also be installed in these areas as an alternative to embossing. Double beaded Seams make the budda-barrier exceptionally hard wearing (and of course watertight). This simple feature makes sure that the barrier stands the test of time. Water Filled - Ultra Light when empty, easy to add ballast for extra stability. 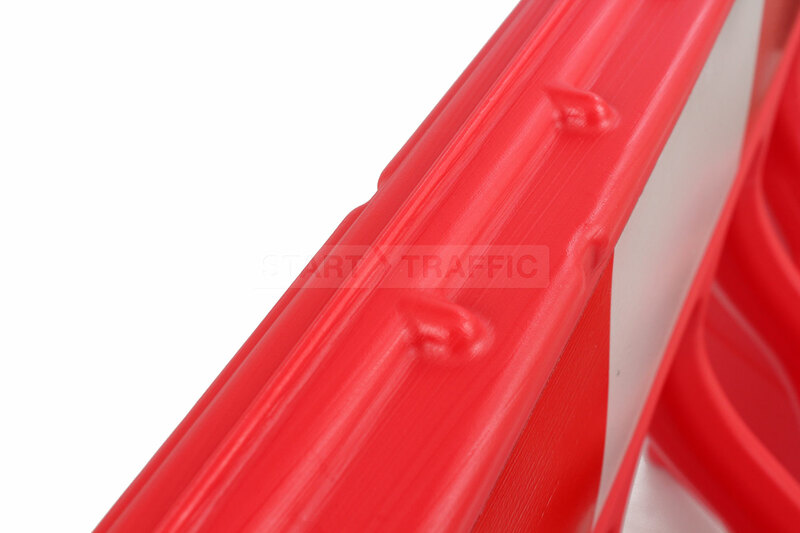 Ultra Cheap Storage & Shipping - Ballasted for better wind resistance and stability when force is applied to the barrier. Low Price - 25 Per pallet means that these barriers are cheaper to transport per foot than their competitors. One Piece Main Unit Construction - No assembly needed 'on-site' other than clipping them together. 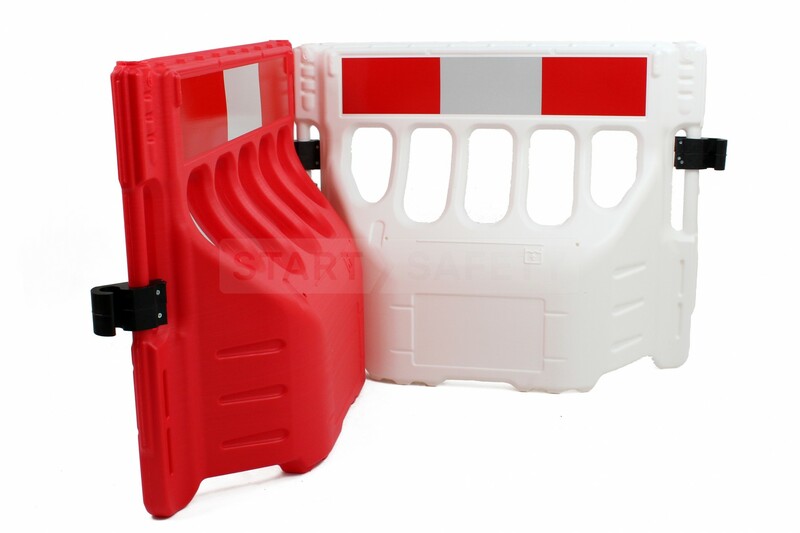 Reflective - Reflectors are present on both sides of the barrier for maximum visibility. 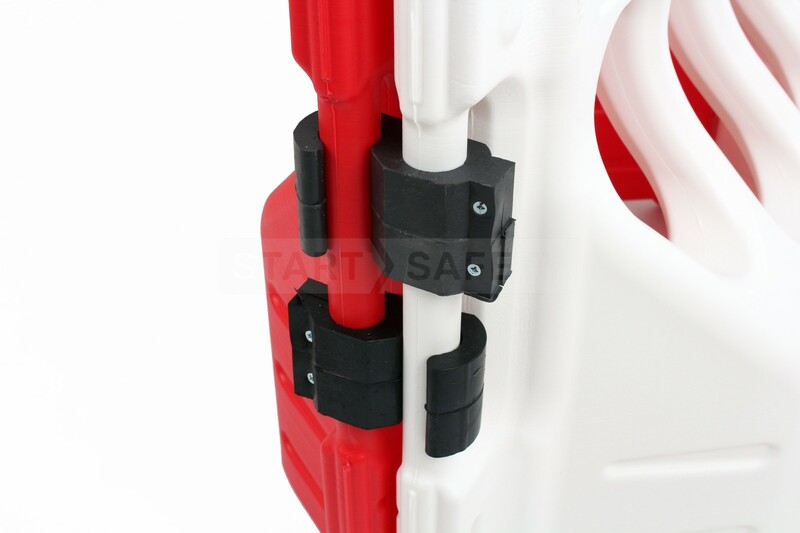 Forklift Slots - Can be lifted from the base by a forklift, even when water-filled. 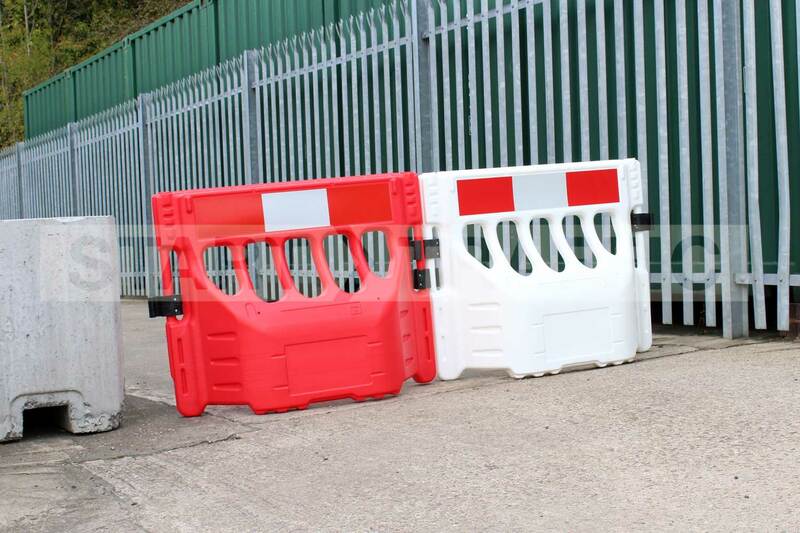 Road Works - Great for running alongside a kerb to prevent pedestrians accessing dangerous areas or to create a safe walkway. 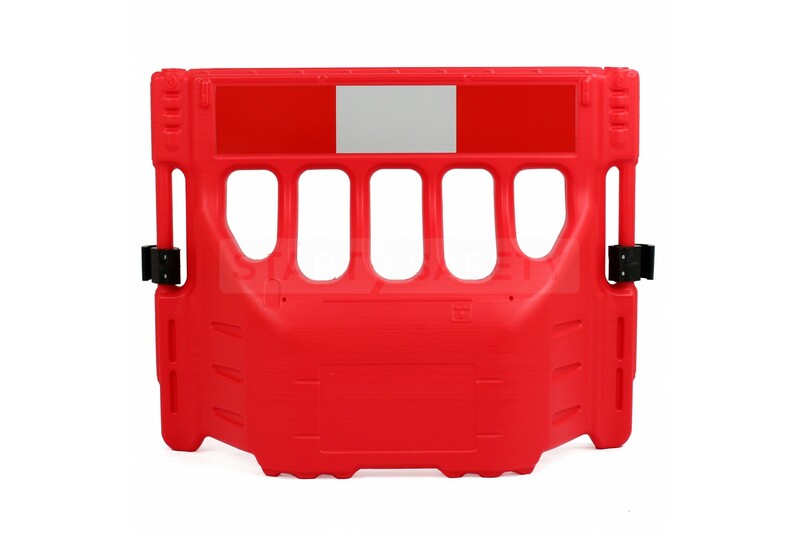 Construction Site Works - Restrict workers and pedestrians from entering dangerous or off-limit areas. Secure a "health and safety" perimeter within which helmets and PPE must be worn at all times. Airports & Sea Ports - Ensure workers and maintenance crews do not walk into dangerous areas around aircraft and areas of operations. 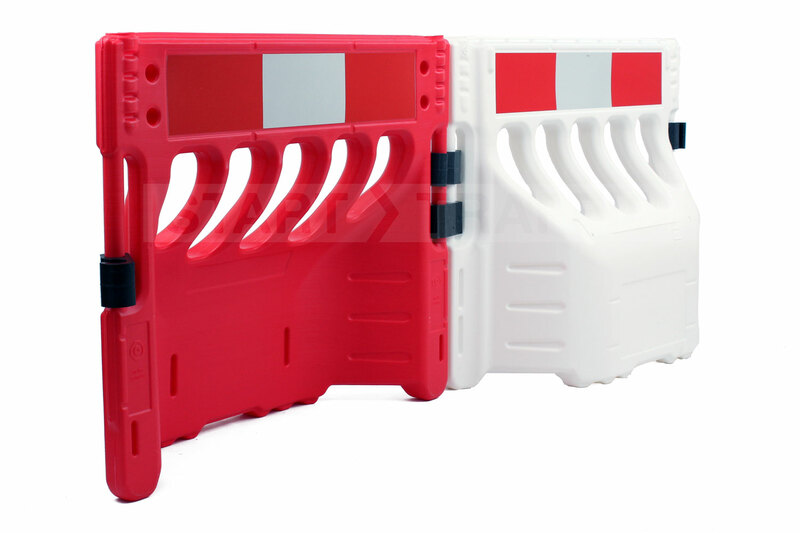 Event Crowd Control - Restrict and direct crowd flow to ensure safe movement of attendees. Do You Have Questions About The Buddha Barrier? Give us a call and ask us, we are here to help! Our sales team are available during office hours on (800-671-9662). They will be happy to discuss bulk discounts, custom requirements and delivery needs with you. Alternatively, you can drop us an email here.